But we're back. Now for realsies! It’s been a long long night. And we finally got it fixed. There was a tiny issue regarding page retrieval that worked just fine on our Developer server, but didn’t work on the Application server. The solution ended up to be quite simple – however, we spend around 6 hours to search for it. We eventually found it on some dark corner in the web over at StackOverflow. But we’re back. Now for realsies! Specify a name and add a page. Done! You can now start building your chatbot! Here’s small summary of ‘things’ we needed to do in order to give you access again. 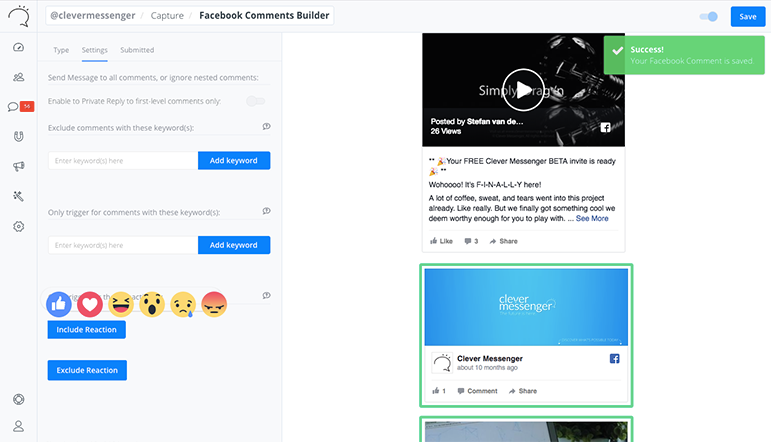 We found a way to Privately Reply to each person that Likes — or gives any other reaction — to your Facebook fan page post(s). Bad news is, while it might sound amazing at first… you probably can imagine this would be very prone to abuse. It also breaks all rules and policies Facebook wants us to follow. So on that note we decide we’re not proceeding with this feature “as is”. Good news is, we can still use the Reaction(s) as a filtering system! Meaning we can have Clever Messenger Privately Reply to anyone who meets the comment criteria you’ll put into Post Engagement feature AND the reaction criteria if you desire any. We’re fixing this as I type this message, it’s a small and easy fix. Meaning this entire feature should be ready soon. This concludes the update. 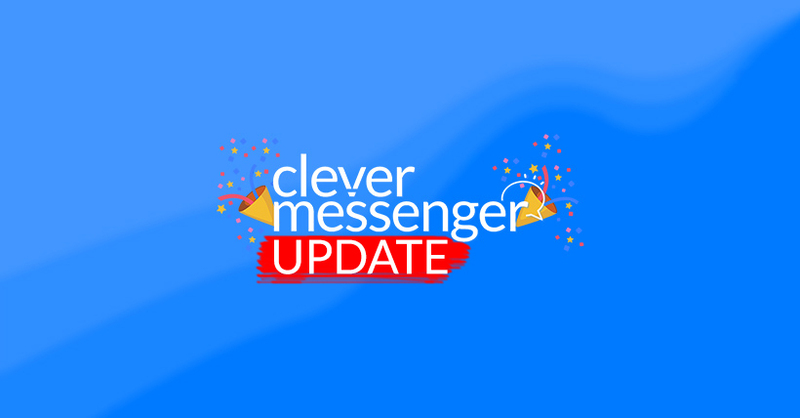 We hope you’ll have a blast using Clever Messenger, and if there’s any questions, concerns or remarks. Feel free to contact us! Enjoy!